I am always intrigued as to why people live abroad; in particular I wonder what makes them choose a special area or indeed a specific country. If you read the newspapers it seems France is awash with British, but in fact there are more French living in the UK than there are British living in France! Europe truly has become a giant community with every country hosting a variety of nationalities. Nevertheless I am still always curious as to what brings people to where they are. One couple I think of regularly in this light are Penny and Adrian Girardot. 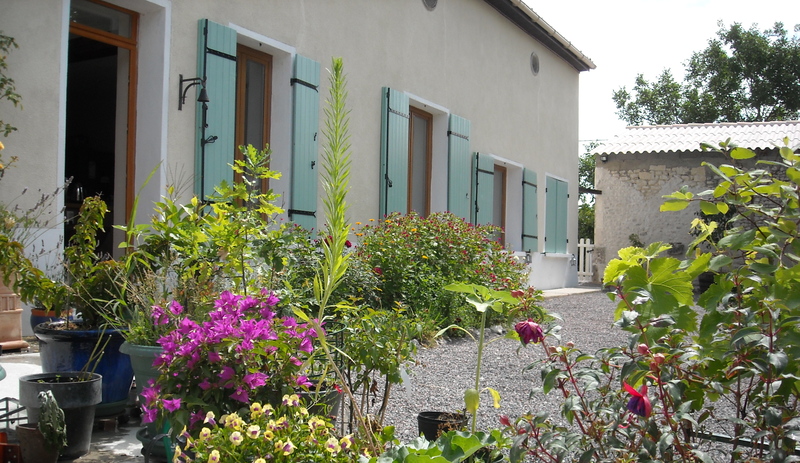 They live in the Charente Maritime near the beautiful historic town of Pons. 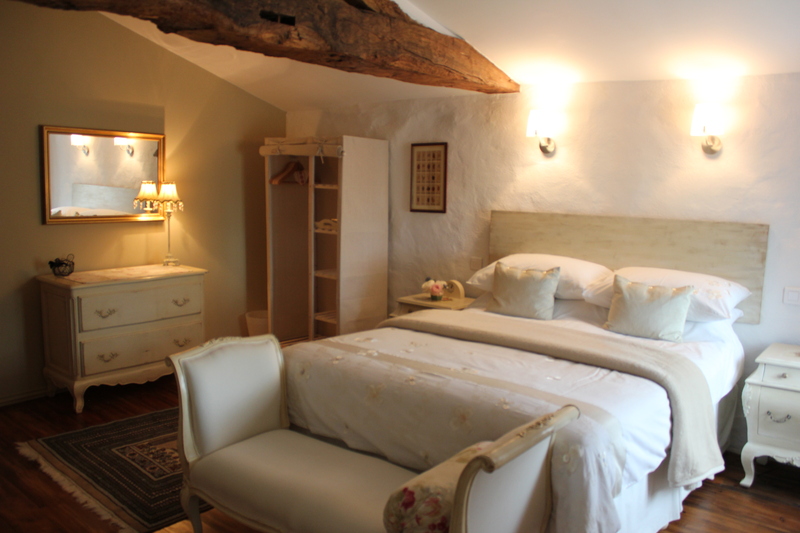 It is here that they run their extremely successful and luxurious Chambres d’Hôtes, and they have made this little corner of France their home for nearly ten years. 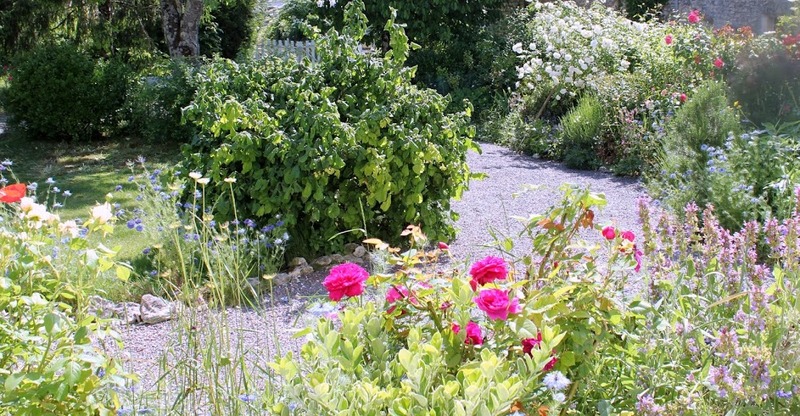 Roddy and I spent a wonderful day this week chatting with them, strolling around their stunning garden and then lunching at one of their favourite nearby restaurants beside the river Charente in the fantastic and famous town of Cognac. 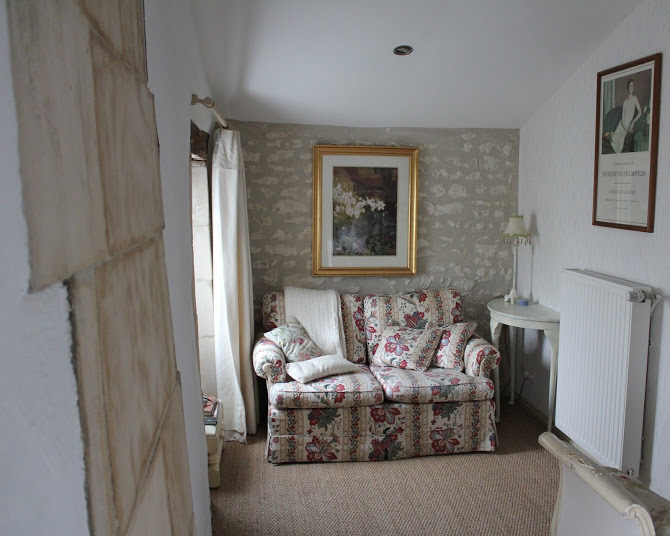 A British couple, Penny and Adrian had spent several wonderful holidays in the south-west of France and loved the area. For them the climate was perfect, benefiting especially from the micro-climate of the Charente Maritime typically means long warm summers and mild winters. As is often a factor, the Charente Maritime is also within a day’s driving distance of most of the France/UK ferry ports and the Channel tunnel. It also benefits from the very close proximity of both Bordeaux and La Rochelle international airports, which makes it easily accessible. 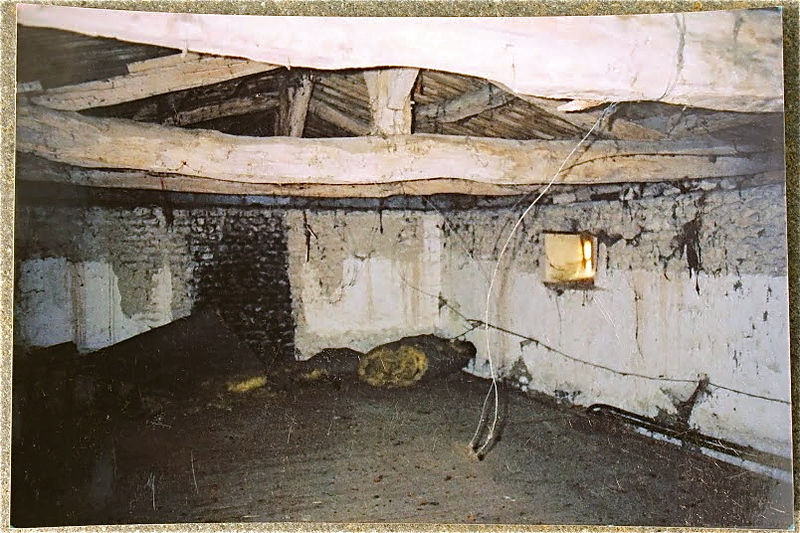 In 2004 the couple bought a near-derelict property outside Pons with plans to renovate it whilst they maintained their successful careers in the UK, and to then retire to France a few years later and run a Chambres d’Hôtes. 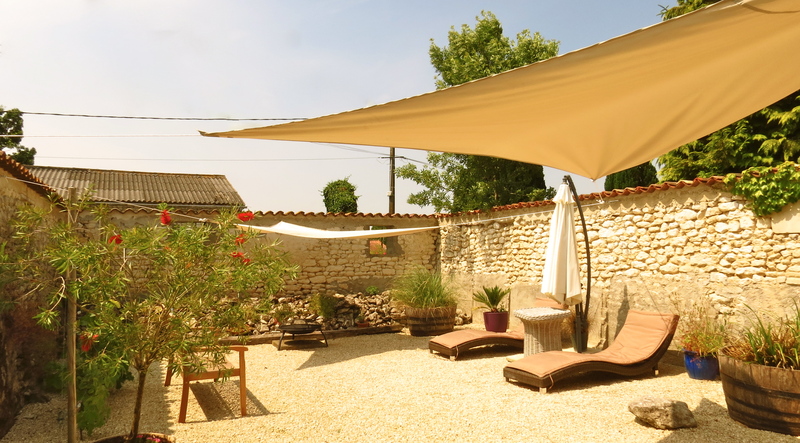 However, halfway through the renovations, Adrian suffered a health scare and their plans changed radically; he took early retirement and in 2008 they moved permanently to France. 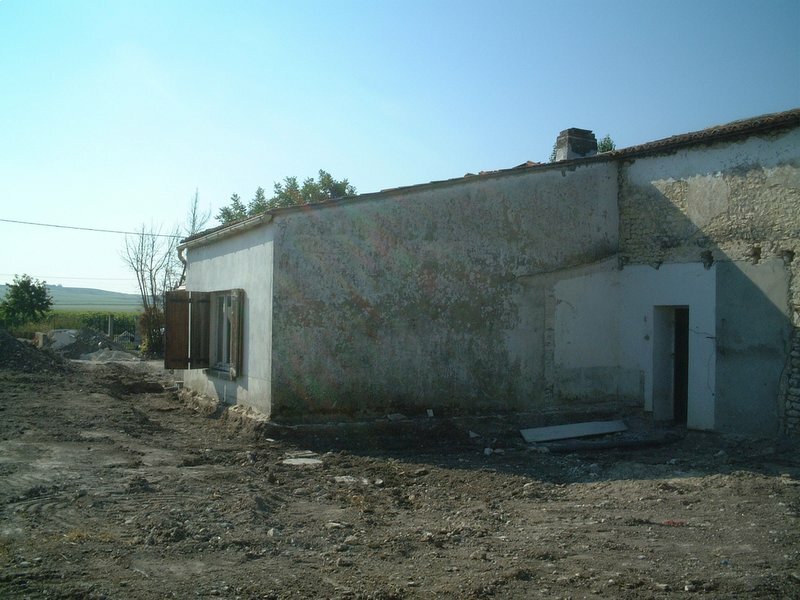 The house was not finished and they learnt, as many of us have, building and finishing skills that they never thought they would have to acquire, a trait common throughout France where every Englishman seems to have more than a passing understanding of mixing concrete and roofing skills. Still, this is a couple that never turns down a challenge and they met it head-on in their typical, upbeat style. In the spring of 2009 they opened their doors to their first paying guests and they have never looked back since. Looking around their property, Maison Maurice, it is hard to imagine that their home has not always been exactly as it is now. 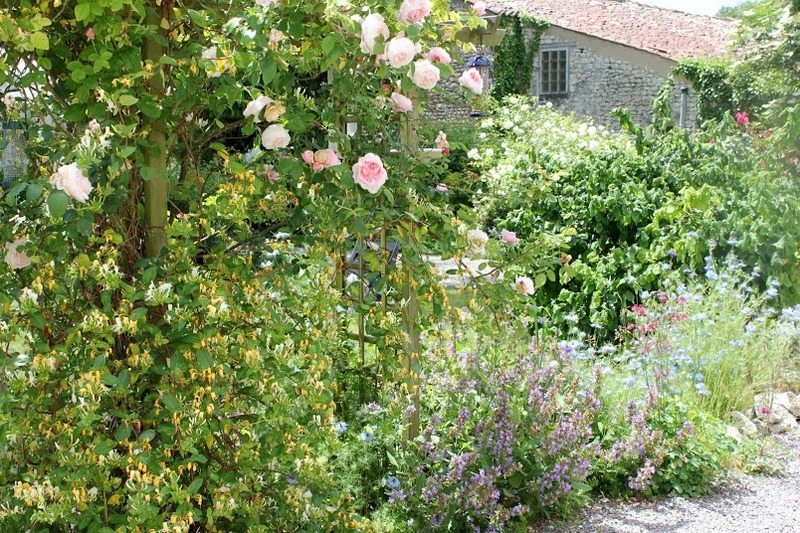 It is a beautiful old stone Charentaise house and barn, dating from the 1800’s; roses tumble down the walls and trees burst with fruit. 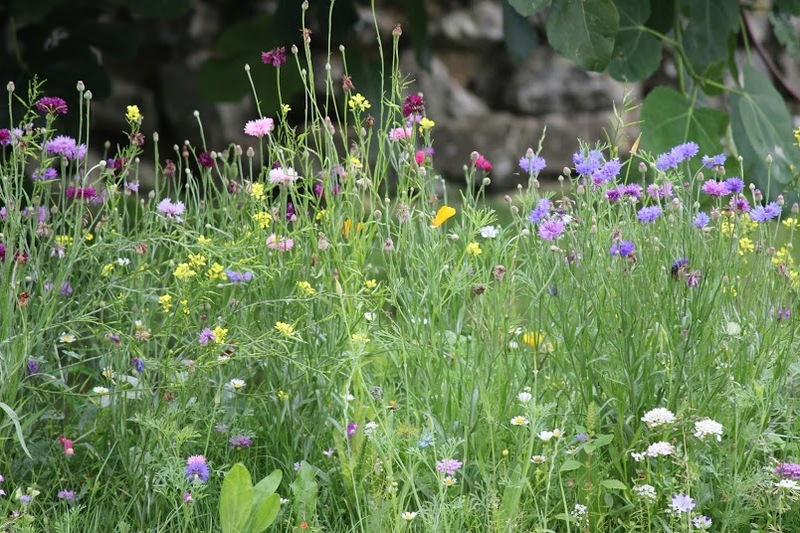 However, it wasn’t just the house that needed total renovation, the garden was for the most part non existent – there was little here apart from a couple of trees and shrubs and a vast amount of brambles and weeds. Amongst the many jobs they undertook was the task of landscaping, and they have achieved a result little short of a miracle. 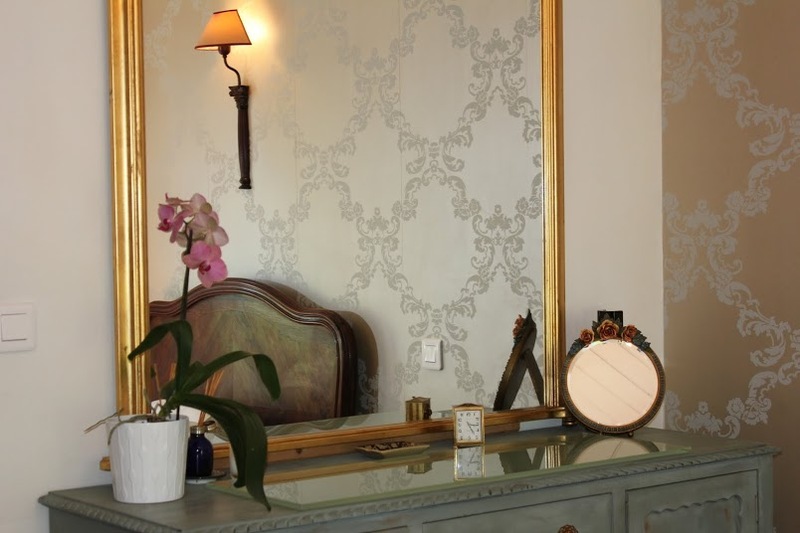 Surrounding the totally renovated and very authentic house, the garden is divided into a naturally flowing series of “rooms”. There is the wild garden; a natural habitat for birds, insects and hedgehogs of which they have several who live in the undergrowth. Then there is also a Mediterranean garden where grapevines and olive trees are sheltered from cold winds by old stone walls on four sides; this is the perfect place to enjoy one of the sun-loungers and wile away a few hours with a good book under the gently moving shade-sail. It was the sort of retreat that reminded me to constantly look at my watch and make sure not to be late to collect the children from school! There is also a small orchard and all of the ‘rooms’ surround the main garden with its herbaceous borders and a terrace where you can dine outside ; in fact the entire garden invites you to relax and enjoy it. 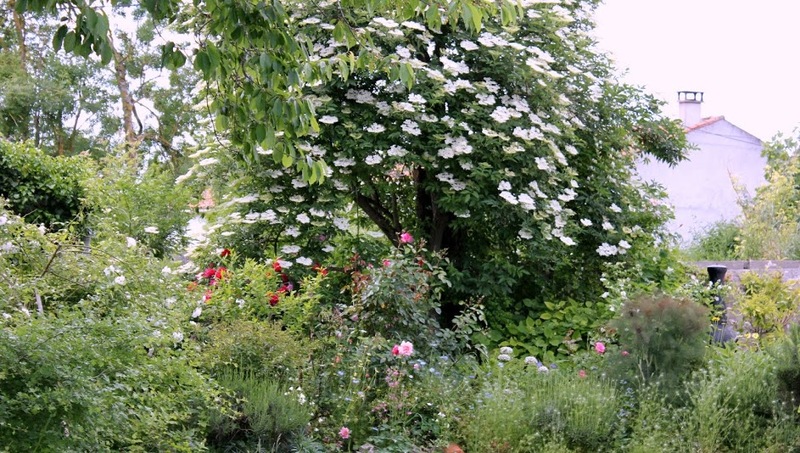 Penny has planted 28 different species of rose and she knows each one by name, and she is quite capable of telling you exactly which scent comes from which rose. 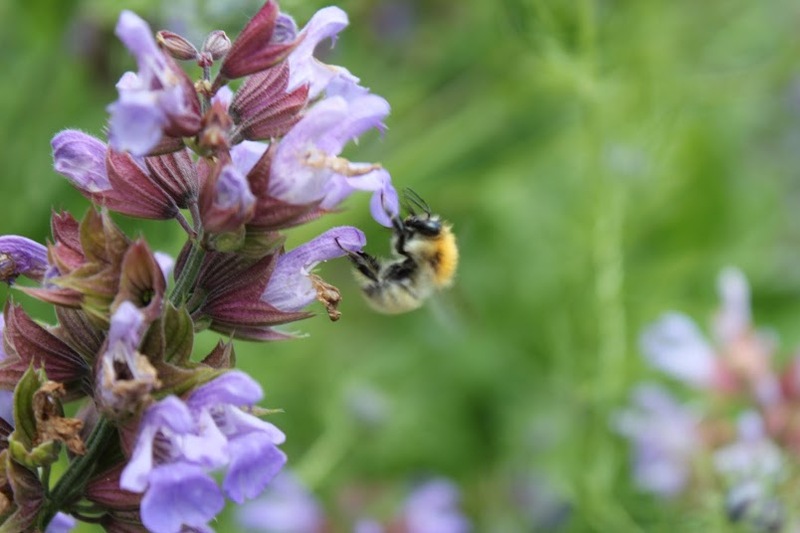 It is a garden free from pesticides, hence the abundance of butterflies and bees, and it is the perfect compliment to the interior of the house – both have a refined elegance but retain that air of casual comfortability that invites you to stay and linger. In the house there are four bedrooms, each with a luxury en-suite bathroom; and in Penny’s own words, “We would rather have slightly smaller bedrooms with top quality mattresses and bed linen, and luxurious bathrooms, as opposed to bigger rooms with cheaper fixtures and fittings.” I totally agree with this as nothing can beat a good night’s sleep, wrapped in Egyptian cotton and tucked up in a perfect bed after a long day exploring. Waking up and enjoying the gorgeous oversized glass shower with handmade tiles is the perfect start to the day. Penny and Adrian both have backgrounds in the hospitality business, and they each enjoy meeting new people and entertaining – it is this that makes their Chambres d’Hôtes so unique and such a great experience. While the breakfasts are leisurely and delicious, it is Penny’s evening meals that turn your stay into a true dining experience. Sharing four courses with your hosts, while the local wine flows from Adrian’s excellent cellar, makes the experience more reminiscent of a fabulous dinner party with friends than a meal in a small hotel. 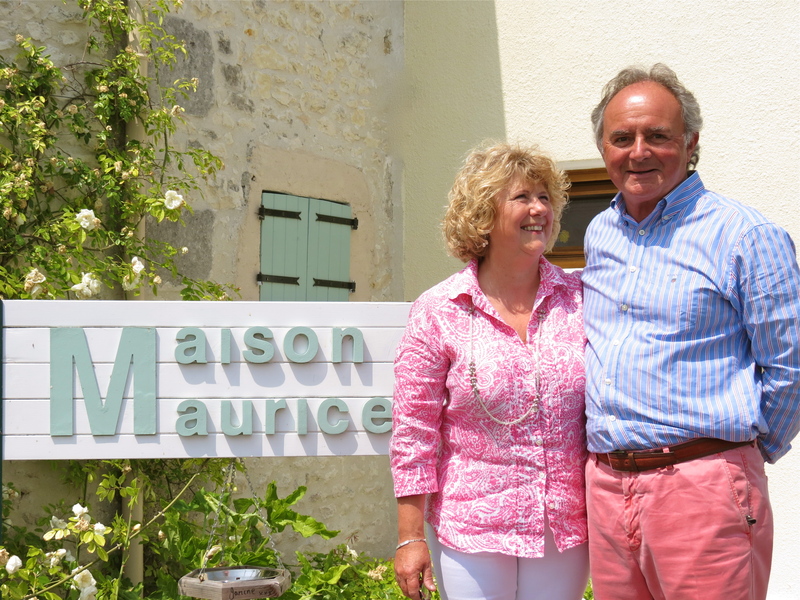 The couple have found that guests frequently become friends, and many return year after year; this is exactly how Roddy and I began our relationship with Maison Maurice in August 2014, so I can speak from both sides, both as a paying guest enjoying the perfect holiday and as a friend seeing the work behind the scenes. The icing on the cake is that Penny and Adrian have justifiably won a clutch of prestigious awards for their little slice of Charentaise luxury, and the awards are proudly, but totally unpretentiously, displayed in the hallway ! However, it’s not all fun and partying as a vast amount of hard work behind the scenes is needed in order to make everything tick along without a hitch. Not least is the couple’s incredible stamina; entertaining until midnight or later, night after night in the summer months, when their guests retire to their ûber comfortable beds they then start clearing up and cleaning the dining room and kitchen. Come the morning everything is again spick and spam with the couple ready to serve breakfast and start the whole cycle all over again. 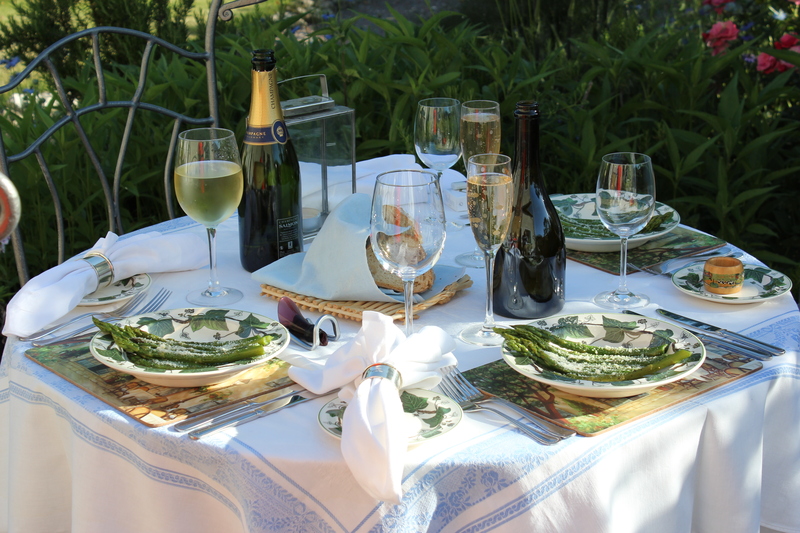 Whilst their guests chatter over croissants and homemade jams, planning their trip for the day and which sights to see, Penny and Adrian cosset and advise, plan the evening meal, make sure the coffee flows and ensure that their guests are happy. They each have their own special tasks; Penny is the cook, and she is also the laundry-maid and head-gardener, secretary and bookings coordinator. They both clean, top and bottom, inside and out. Adrian is the sommelier, waiter, maintenance-man, machinery-geezer, heavy-duty gardener and he also does all of the shopping. To an outsider, transported to this land of figs and vineyards, the job and its lifestyle may seem like the perfect metier in a dream location, but it is also a huge amount of hard work and I have nothing but admiration for them; they don’t complain about the long hours, they love what they do and I have to say they are the perfect hosts. There is no room for domestic squabbles; to take on this lifestyle in a foreign country needs a rock-solid relationship and an ability to work side by side 24 hours a day. Another prerequisite is being able to laugh; both at one’s language mistakes and also at oneself and each other without rancor – this is another reason they are so successful as they have a fabulous ‘joie de vivre’. Pausing for a brief rest on the tour through the below-stairs part of our journey, I wondered if there was anything they missed about home? Replies were succinct and to the point – English pubs and pub lunches was one, because there was nothing quite like them, and another was of course family and friends; certainly not a lot else. In contrast there are many benefits to living in France; some of which became readily apparent as we arrived in Cognac and lunch by the river. Some of them included the lack of traffic, the slower pace of life, and a slightly more old fashioned and elegant way of living. And then there are the people – they have found their neighbours and the local Charentaise people utterly delightful, helpful, friendly and charming. Adrian and Penny have made their dream a reality and they are passionate about their adopted country. “Just look around,” Adrian said, “lunch in a classic waterside setting, at a delightfully informal and yet sophisticated restaurant, bustling with locals all enjoying a normal two or three course meal in the middle of the working day.” We had to agree, it’s one of the reasons we love France too. Maison Maurice is never officially closed. The summer months are non-stop and extremely busy, while winter is a time for maintenance. However, the spring and autumn usually still mean wonderful weather and although there may be guests it is a time when Penny and Adrian get out and about to enjoy their surroundings with day-trips to local places, and the odd night away here and there. This is the time to relax a little and spend time with friends. Despite their hard work there really does need to be some time for themselves to be able to enjoy France too. Running a Chambers d’Hôtes is certainly not the life for everyone, but for Penny and Adrian it is like a worthwhile passage on their own restored boat in a choppy but oftentimes beautiful sea; it suits them perfectly and I can’t quite imagine them anywhere else. 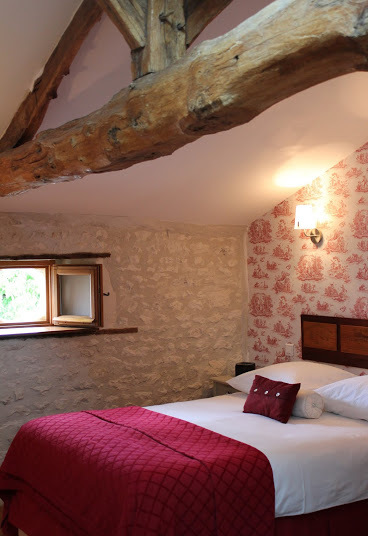 For anyone wanting to know more about Maison Maurice or planning a visit, (and, trust me, it really is worth a little detour to spend at least one night, if not several) then you can find their website by clicking here. I know you will not be disappointed, it’s a very special place and I am so glad we found it, and found such true friends in Penny and Adrian. What an amazing write-up on Maison Maurice! And having stayed there about 24 times (anything from one night stopovers to more frequently 3 or 4 night stays), my wife and I agree with every word. Maison Maurice is indeed an oasis, Penny and Adrian are great hosts and we are delighted to have them now as close friends. They richly deserve their success as hosts of a Chambre d’hote extraordinaire! Hi David and Maggie, great to receive your comment and glad we share the same thoughts on Maison Maurice! MY husband has shorts in that color the MISTER is featuring and I am running out to buy a shirt like HIS!I just LOVE these EUROPEAN MEN in PINK!This couple exudes JOY!They are living MY DREAM too……the old farmhouse with a GARDEN!Your photos are DIVINE!SO, when I come see YOU we shall visit them!!!!OKEY_DOKEY?? Okey Dokey – great to see you adopting the lingo!!! and yes we shall visit them and of course shops too! Now the next thing is European men and their man bags, my husband is gently leaning towards a man bag – they are so practical. I never thought of the bright colours, but you are so right, I love men in pink shirts! What a labor of true love. I’ve discovered that if one has the time, the vision, the patience and the money, almost anything can be accomplished. Most of us never have the vision, however. They are to be truly admired and applauded. Great post !! I know a bit about the joys and challenges of what Penny and Adrian are doing. We spend one week each year at Trouthaven, a small (ten-cabin) lakeside resort on Wallowa Lake, at the northern base of the Wallowa Mountains of N.E. Oregon. Three generations of couples in one family have, successively, built, maintained and run this rustic resort since 1955. They work non-stop in high season (summer), making their immaculate, charming, comfortable resort heaven on earth for their guests! I’m going to forward this post to them so that they can read about what Penny and Adrian are doing similarly in an entirely different setting. 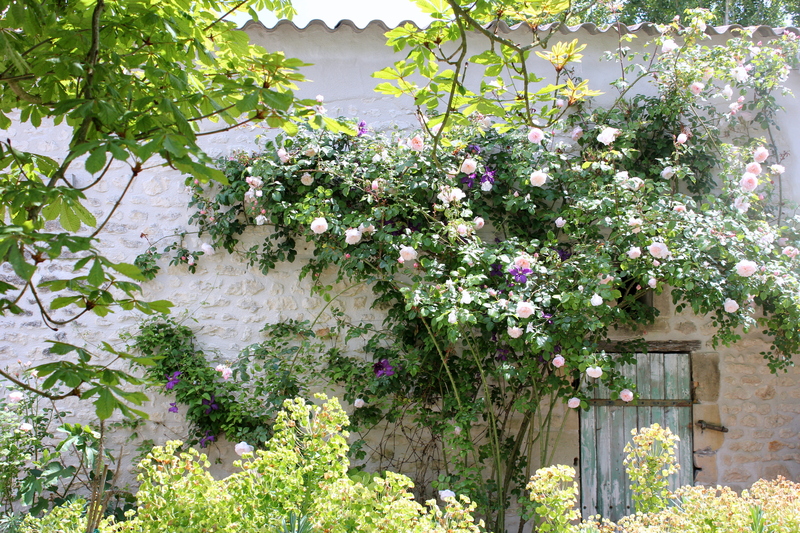 Thank you for this article–we are looking forward to staying at Maison Maurice when we get to the Charente-Maritime. Each time we travel abroad we go to guest houses and we are never disappointed. Last year we went to Oxford and our guest house was so beautiful. I understand what you mean about the pubs, we enjoy them a lot. Is the restaurant you are speaking about “La Ribaudière”? If yes, what do you think about the decoration? Hi Caroline, No it wasn’t la Ribaudière, but I have just looked at their website and I think perhaps we should go there! It looks rather intriguing with the epicerie, cookery school etc., have you been there? our eldest daughter returns from Uni for the summer on Tuesday so it would be a good excuse to take her! Do let me know all about it and your thoughts, are you quite close to Cognac? We live half an hour from Cognac. We have gone to La Ribaudière a few times, the cooking is excellent but we are tired with the decoration. It is too…, modern, colourful, with a lot of tv screens (!) in the room. 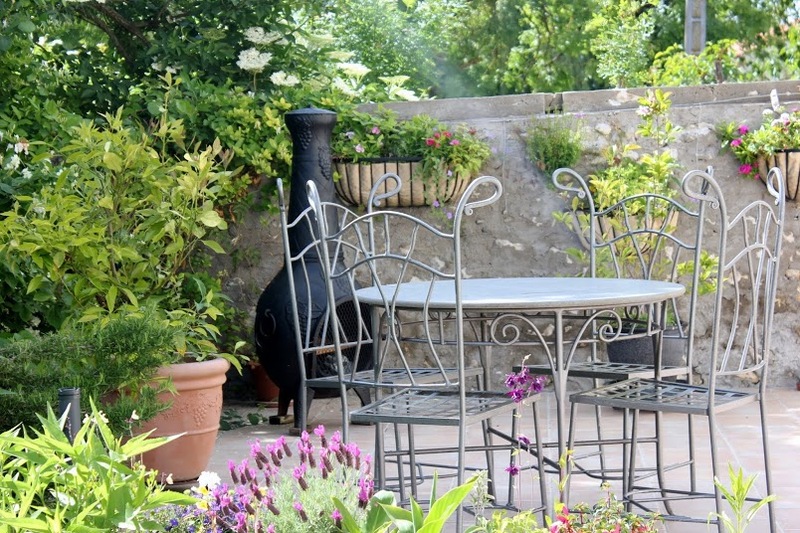 If the weather is fine you will be in the garden and it’s better. Anyway it is the only restaurant in Charente with one “macaron”. My favorite restaurant is le Domaine du Chatelard but it is much farther. Bonnes retrouvailles avec votre fille aînée, moi je passe le week end à Paris retrouver mon mari et mes filles. See you! i am drooling over your photos! what a lovely place you’ve created! i love the first before and after shots! striking! 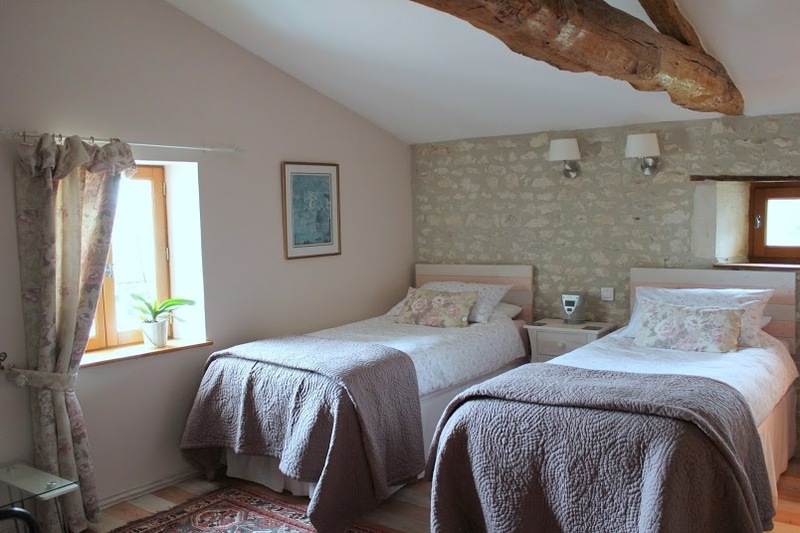 Maison Maurice is certainly a beautiful home and Chambres d’Hôtes, Penny and Adrian have done the most wonderful job renovating it.